Most people assume that tall and skinny guys have it made in the wardrobe department. But the truth is that these fellas often have a hard time finding clothes that will fit and flatter their bodies than men with a standard build. If you’re tall and slender, you know what we’re talking about. Often, when you try on a shirt, a jacket or a pair of paints, either they are too loose on your frame or they’re too short for you. With the right style tips for men, you’ll be able to dress sharp and look good no matter what the occasion. Born with a genetically slim frame, your friends probably regularly suggest that you hit the gym to bulk up and gain muscle size. You try to do your best to follow their advice. But with a ridiculously fast metabolism, it’s really hard to gain weight, let alone build some muscles. Besides, you’re probably too busy that you don’t have the luxury of time to visit the gym as often as you want to. When it comes to dressing up, most guys consider being tall and thin as a disadvantage. If you are in need of some style tips for men, we urge you to keep reading. You can still dress well and look great no matter how slender of a frame you have. Here are some style tips for tall and skinny guys. We all know that dark-colored clothing makes you look thinner. Given that you already have a slim frame, you may want to steer clear from them. Light colors such as pastels, beige, cream and white are your best bet. These colors tend to show off every bump and lump; thus, making you look bigger than you actually are. If you are very skinny, choose suits in medium to light gray as opposed to black or charcoal. Dark on dark clothing will make a slim person look even slimmer. One way to add some visual bulk to think frame is by wearing clothing that are made of fabrics that are thicker and heavier. Fabrics such as corduroy, denim, glen check, flannel, wools, knit, and tweed give the illusion of having more mass; thus, adding bulk to your slight frame. Heavier cloths will make you look and feel heftier. Plus, they tend to keep their shape and drape better across your body. The good news is that chunky, thick knits have gained popularity over the past few years. In fact, it reigned as fall and winter’s ultimate wardrobe MVP, making it a great seasonal look for skinny guys. Remember, the chunkier, the better. For guys with thinner structure, consider experimenting with a double breasted jacket. The extra cloth across the chest fills the frame out, making it a great option for tall, slender men. Clothing in horizontal patterns is ideal for tall and skinny men as they create the illusion of girth and width. When you wear clothes with horizontal patterns, you are forcing people’s eyes to move across your body; thus, making you look bigger than you actually are. Clothes that have vertical lines will only elongate your thin frame further, and therefore aren’t the best choice for skinny guys. Avoid wearing clothes with vertical lines like chalk stripe and pin stripe patterns. For men with slender builds, adding layers will give you more dimension. The look is easier to pull off during the winter months. You can wear an undershirt, under a dress shirt, under a sweater, under a trench coat. Layering smartly is the key to look sharp. Although dressing in layers can help build on your natural build, it is important to be strategic, not only for style, but for comfort as well. Wearing heavier fabrics will add weight to your frame. However, too many bulky layers will make you feel warm and uncomfortable. Plus, it will make you look unnatural. The key to dressing in layers is to wear multiple thin layers. Considering that the temperatures can rise to up to three digits during the summer, dressing in layers can be impossible. In this case, simply throw in a denim shirt over an undershirt and you’ll look fine. Avoid wearing clothes that are either very loose or very tight fitting. This piece of advice remains true no matter what your body looks like. The problem is that most men with slender frame wearing baggier pieces of clothing hoping it will make up for their small frame. This is a big mistake. Wearing oversized clothes will only emphasize your slender physique since there is a stark contrast between your body and the size of your clothing. Worse, you’ll look as if your swimming in a sea of fabric. Tight-fitting clothing should also be avoided at all cost as it will only highlight more of your thin built and stature. Skinny jeans and tight-fitting shirts are definitely a no-no. Find the happy medium between the two ends of the spectrum. Choose clothing that is just slightly bigger than your actual size. This will add bulk without overly-emphasizing your smaller frame. We understand how frustrating it can be to shop for clothes that fit you well. If you have the budget, it is best to find a tailor who will alter the hell out of your clothes. Make sure that you factor in the cost of tailoring into your clothing budget. Often, tall men are having a hard time finding dress shirts, suits or pants that fit well. They are either too short or too big for them. Take every worthy piece of clothing to a tailor and have it altered. 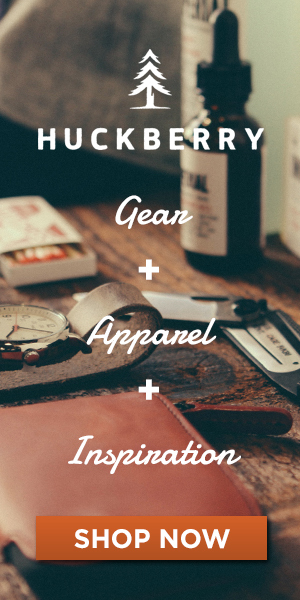 If you can afford it, invest in custom-made clothing. It is well-adjusted to your personal measurements, so you are guaranteed perfectly fitted clothing that is made of the highest quality materials. Remember, a tall man in well-fitted clothes looks like a man in charge. Every guy wants to look sharp and fashionable no matter what season. While it’s easy to look good during the fall and winter, men’s summer fashion can be quite tricky. With the temperatures rising up to 100 degrees, dressing well in the summer heat becomes almost impossible. Under the unrelenting glare of the oppressive sun, personal styles get brushed aside. Men are forced to shed their layers and choose a more relaxed outfit just to get through the next 12 hours without looking dishevelled. The summer months call for men’s casual style. In fact, many of them are seen wearing crew neck t-shirts, sleeveless shirts, shorts and flip flops in summer months. While these pieces of clothing will keep you comfortable during the dog days of summer, they’re not the best outfit of choice if you want to look cool in hot weather. Men’s summer fashion is constantly evolving, and so should your style. Now is the best time to go out of your comfort zone and try something different. Here are some summer men’s fashion trends to keep this season. This men’s style guide will go a long way in updating your summer look. Cuban collar shirt is defined by an open, almost notch lapel-like collar. The earliest version of this particular shirt appeared in South Africa sometime during the 18th century. It is a classic staple, and it’s making a major comeback. In fact, they began resurging in 2014. Relaxed, breathable and seriously on trend this season, nothing adds a summer vibe to your style than a Cuban collar shirt. This type of shirt is commonly made out of linen or cotton, which makes it perfect for summer. It is a style that will make you stand out from the crowd in a chic and subtle way. Ditch your everyday button down shirt and opt for a Cuban collar shirt. To help you truly embrace summer, try pairing a bold-colored or printed shirt with neutral-colored pants or shorts. This will help keep the focus on your shirt. If you wish to wear it work, pair it with a lightweight blazer to keep things smart. It isn’t just the Cuban collar shirts that have been making their way back into men’s style. Printed t-shirts are one of the most surprising comeback trends. The more relaxed way of dressing encouraged designers and retailers to incorporate fun and youthful prints into casual pieces like t-shirts, dress shirts jackets, caps, and even socks. Side stripe trousers are a huge menswear trend right now. These pants are a cross between dress pants and joggers. They are doing the rounds on the men’s wear circuit these days, and it looks like they’re here for the haul. In fact, luxury designers like Dior Homme and Gucci have featured these pants in their collections. If you want to keep up with men’s summer fashion, we suggest that you add side stripe trousers to your legwear rotation. Not only are they comfortable to wear, they bridge the gap between formal and sporty. You can wear these pants when you’re off to the gym, hanging out with friends or to work. There’s a wide selection of side stripe trousers out there, you can even get suit trousers with a side stripe. Balance is key to making side stripe trousers work without looking like you’ll be running the marathon. You can wear your favorite sneakers or trainers with them, but make sure that you pair them with a slim fit shirt or a smart knit. A good graphic t-shirt can add interest and contrast to an otherwise plain look. It can even pull an outfit together. To incorporate this men’s summer fashion into your everyday wear, simply pair it with a pair of black jeans and a pair of trainers. This offers a versatile and stylish look instantly. Printed shirts can be a bit tricky to wear, but are actually one of the most versatile pieces of clothing any man can own. The shoes are one aspect that is often overlooked in men’s summer fashion. Canvas sneakers are perfect for the hot weather, and look great with a variety of outfits. They work well with shorts, chinos as well as jeans. The woven fabric lets your sweaty feet breathe in 100-degree weather; thus, keeping your insoles from resembling a petri dish at the end of the day. It’s never too late to get some canvas sneakers into your footwear rotation. The boat shoes rose into prominence during the 1960s, during the nation’s obsession with New England prep style. These shoes were originally used to keep sailors safe and prevent them from slipping while navigating the slippery boat deck. Today, however, they are considered as classic summer footwear. They are a great addition to your summer arsenal. For the perfect summer vibe, we recommend pairing them with a pair of jeans shorts or Bermuda shorts. Boat shoes can be paired with pants as well, but they look best when worn bare ankle. Try rolling up the hem of your pants, and make sure that you leave the socks at home. Unlike women, men’s summer fashion can get boring. Often, they are limited to shirts, shorts or pants. One way to spice up your outfit is through the use of accessories, and we think sunglasses are the perfect accessory for summer. They add an air of mystery to even the most boring schlump, make your face seem more chiselled and strong, and they also keep your eyes protected from the sun’s glare. Sunglasses are bolder than ever this year, with so many different men’s sunglasses styles to choose from. From wayfarer to aviator to round-framed sunglasses, choose a style that suits your face shape and you’ll look pretty damn good. By the time summer rolls around, almost everyone is ready to hit the road. Whether you’re heading to the gym, beach or the other side of the world, you want to make sure that you have a great weekend bag that would carry all your essentials. A weekend bag is more of a necessity than a luxury. That said, we highly recommend that you invest in a product that is long-lasting, visually appealing and of high quality. From weekenders to stylish backpacks to totes, it’s time to start thinking about the right bag to carry your stuff. History repeats itself, they say. This old saying seems to be applicable with the fashion world. We are creatures of habits and tend to revert back to what we’re used to. In fact, we’ve been seeing a renaissance in men’s summer fashion trends in the past few years. Last time, we wrote about Men’s Fashion and Style Through the Years, where we talked about men’s casual style and the different fashion trends over the past century. This article is recommended for fashionable men, who try to keep up with the latest fashion trends. If you haven’t read it yet, we recommend that you do so.